Naoe Suzuki is a visual artist based in Waltham/Cambridge, Massachusetts. Born in Tokyo, Japan in 1967. She has lived in the U.S. since 1985. Naoe is a recipient of many grants including the Pollock-Krasner Foundation in 2015, Massachusetts Cultural Council (Drawing/Printmaking/Artist's Books in 2006, and Sculpture and Installation in 2001,) Berkshire Taconic Community Foundation (2013 & 2004,) Puffin Foundation, Artist's Fellowships, Inc., and Blanche E. Colman Award. She was awarded multiple artist residency fellowships including Blue Mountain Center, MacDowell Colony, Jentel, and Millay Colony for the Arts. In 2017, Naoe was awarded a research residency at Tokyo Wonder Site Residency in Japan where she explored buried rivers in Tokyo for a month. From 2016 to 2017, she was appointed as the Artist-in-Residence at the Broad Institute of MIT and Harvard, a biomedical research institute in Cambridge, Massachusetts. Naoe received MFA in Studio for Interrelated Media from Massachusetts College of Art and Design in 1997, and BA in Art from Bridgewater State University with double minors in Dance and Women's Studies in 1992. She continues to dance to this day in her spare time. She has been dancing Brazilian zouk in the last eight years, earning her zouk instructor certificate from Zouk New York in 2013. 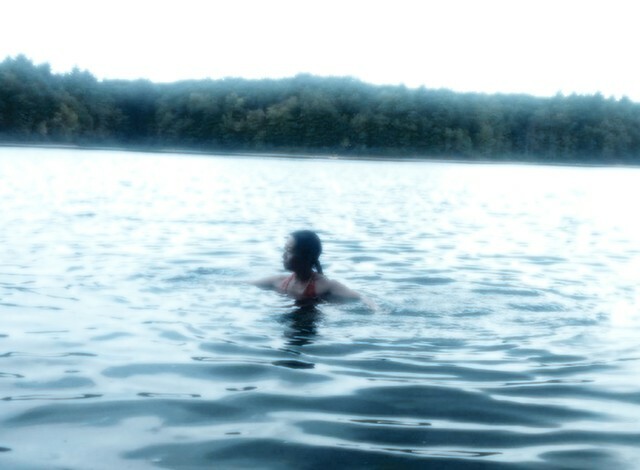 Naoe also enjoys swimming in Walden Pond.